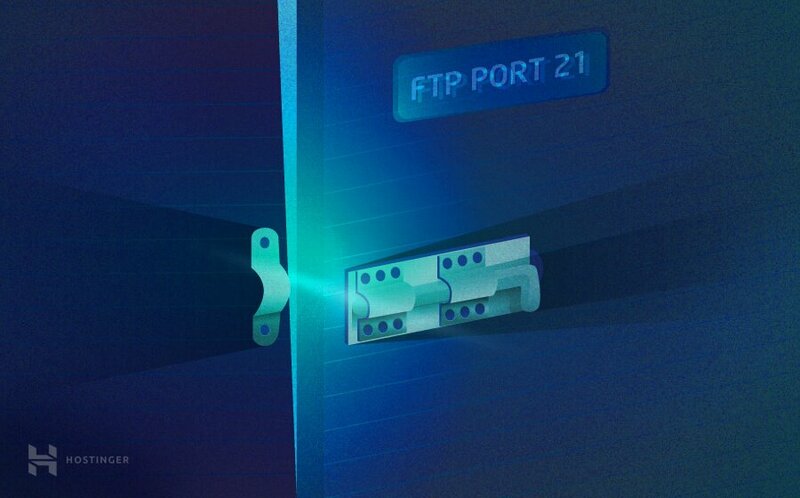 Port 21 is universaly designated for FTP (File Transfer Protocol) connections, so if you are having issues connecting to your FTP account, it’s a great idea to check whether your ISP is blocking port 21. On your keyboard try to find Windows logo key (usually it is located between left CTRL and ALT keys). Now press it together with R key. Now you should see a black command shell window. 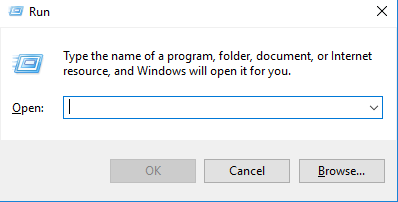 Open Windows Start menu by clicking icon on the bottom left corner or pressing Windows logo key. 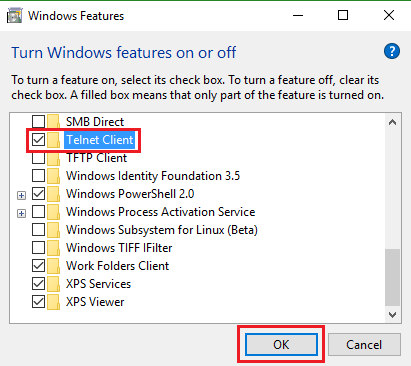 Enter Turn Windows features on and off and hit ENTER. On a new Window search for Telnet Client, enable it and press OK button. If similar black terminal window shows up, proceed to the Step 2.
telnet yourdomain.com 21 where yourdomain.com is your domain name. If the Hello message does not show up, the port is, in fact, blocked. 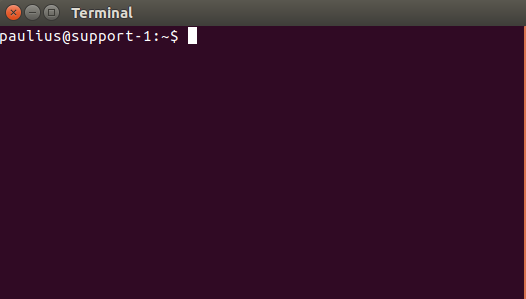 In this tutorial we have learned how we could use telnet to check if default FTP port 21 is open. If the results showed you that the port is closed, it would be best to contact your ISP and ask them to open it. Otherwise you will not be able to use your host’s FTP from the current network. ISP…is it “internet special person”? 🙂 No, ISP = Internet Service Provider.